Changing the oil in your car is the most critical factor of routine maintenance for any automobile. Removing the old oil from the engine and replacing it with fresh oil will keep everything working in top condition, as well as replacing the filter. 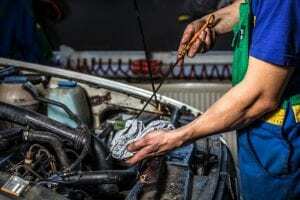 If the oil change does not take place for a long time, then general wear and tear may be detrimental to the engine and can damage other parts of the vehicle. When it is changed regularly, it can help engine longevity and enhance overall performance. According to most of the experts, the oil change is recommended after every 5000 miles to ensure the moving parts run smoothly. It gives better protection against rust and corrosion. As far as oil change service in Lauderdale Lakes we have several types of oil which are offered at low prices and minimum change time to get you back on the road with the least inconvenience to your schedule. We have a wide range of technicians who are working to help you choose the right type of oil for your vehicle. We use premium quality to maintain higher standard quality, reliability, and protection. We are providing our auto repair services to the citizens of Lauderdale Lakes for many years. We are renowned within the town because we use the best quality engine oil and filter, proper disposal of old oil, efficient and foolproof order of operations. Our trustworthy, certified technicians have the experience to diagnose any problem. Our prices are less in town as compared to others which makes us unique. Well trained technician of our workshop helps you to choose the right oil for the vehicle which reduces the friction and increases the efficiency of the engine. Advanced diagnostic techniques of our technicians rectify mechanical faults making your driving experience smooth and more economical. Most of the automobile experts recommend that you change the oil after every 3000 miles for better performance. Our auto service business provides reasonable repairs to the corporate location employees in the Lauderdale Lakes area. We are currently working in different other places in the state of Florida to provides outstanding auto services. Along with the oil and filter change, we also offer some necessary automobile services checks like gauges and warning lights, exterior lights, battery tests, battery wiring, horn, and visual brake checks.